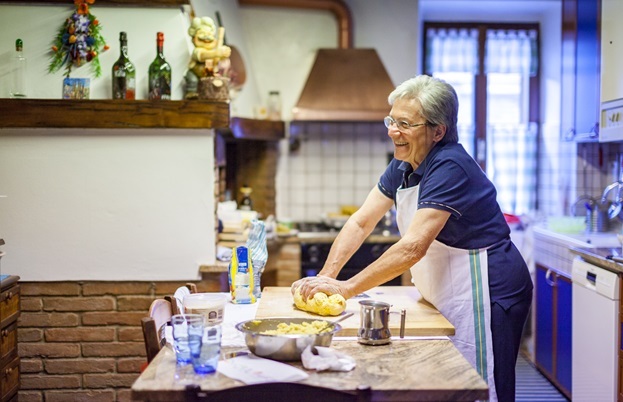 Nancy travelled to the mountains near Parma in northern Italy, to meet the housewives of Parmigiano Reggiano country, learning about the key role this cheese plays in the culture of the region and which dishes show it at its very best. 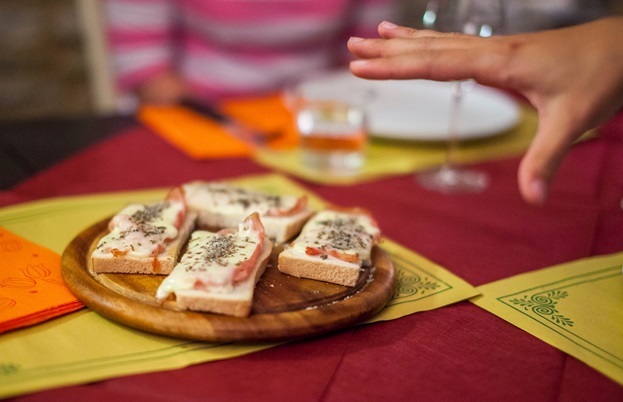 I had the great privilege of spending time recently in Calestano, a village south-west of Parma, in the Emilia-Romagna region of northern Italy – Parmesan country. I was there to meet some of the great chefs of the region: the women who had dedicated their whole lives to crafting the most delicious dishes, from the best of the region's produce, for their family, friends and the odd very lucky stranger. Calestano is a tranquil cluster of lovely homes and shops, with narrow, winding streets, all tiny cobbles and matching stonework. This is a mountainous area with difficult terrain. Flash floods sweep through the gorge, rockfalls and erosion regularly make roads and bridges impassable and winter snow cuts off the shops and homes at high altitudes. The people who live here are resourceful, practical and creative, used to working together and helping each other out. The culture of volunteering here is strong. 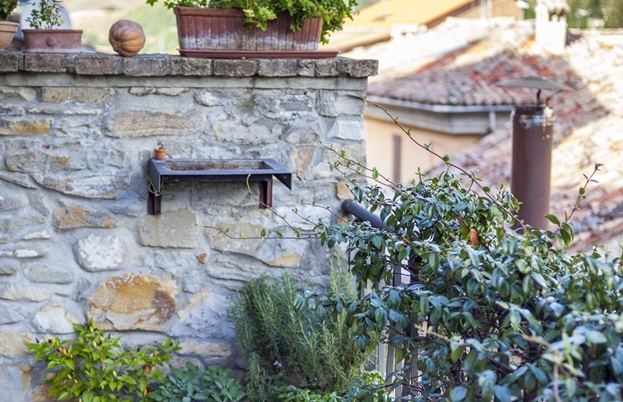 The regionality of Italy remains incredibly strong, even today. Regions, even villages, show distinct cultural, linguistic and culinary differences; even the limited area I visited had several separate local languages. 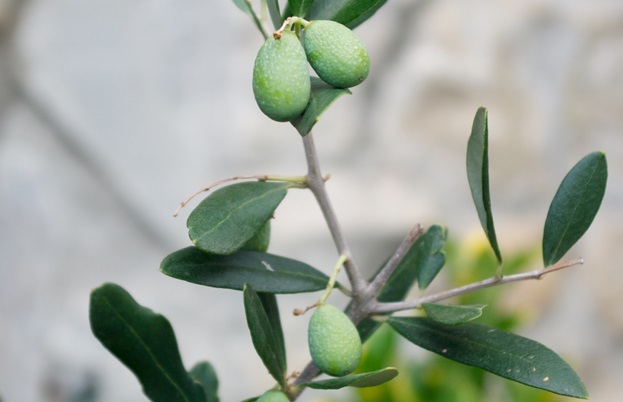 The people of Calestano don't just use the products of their region, they live and breathe them. 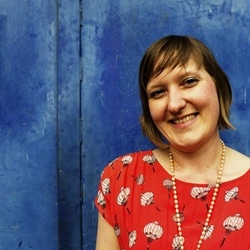 Maria Chiara Passani, an energetic young woman who grew up in the area told me: ‘The curing and tending of foods is almost innate here, you start listening and learning when you're a child.' 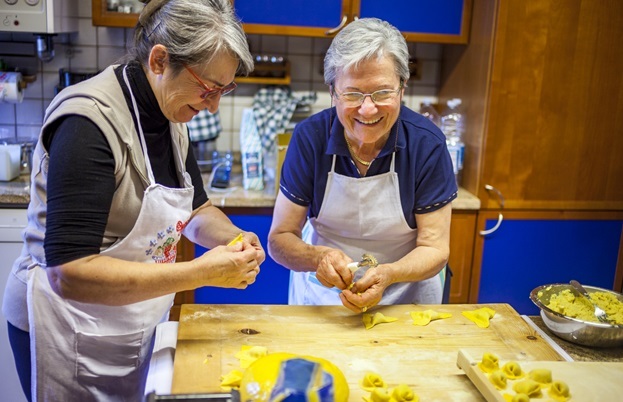 These people celebrate their local specialities, taking great pleasure in enjoying them together and thus are bonded by certain foods and culinary traditions. 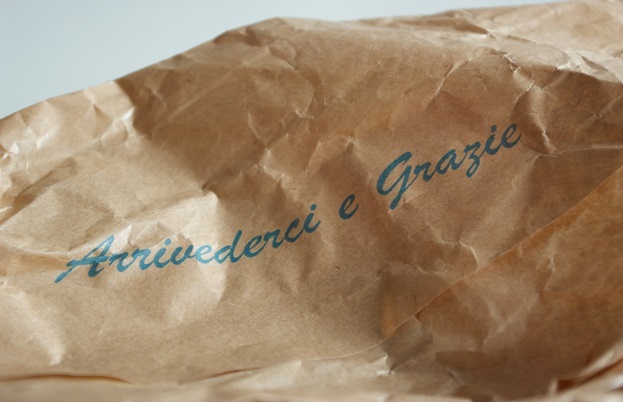 The most important of which is Parmigiano Reggiano. Known as grana (grains) in the locality due to the way Parmigiano Reggiano is produced, the cheese makes it into almost everything. A typical family will grate and sprinkle their way through about a kilogram a week and seeing an industrial Parmesan grinder, pride of place on the kitchen counter, is the norm. The habit is formed early, with children given a piece of cheese to occupy them as their parents shop, and it stays for life. 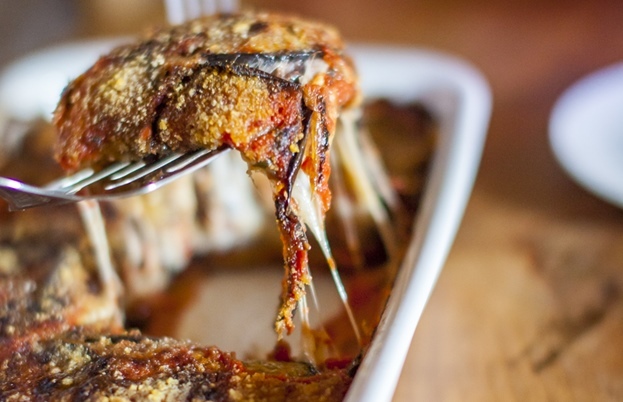 Typical of these livestock-farming regions of northern Italy, meat, butter and cream are used in abundance, with Parmesan seasoning and deepening those meaty, creamy flavours. 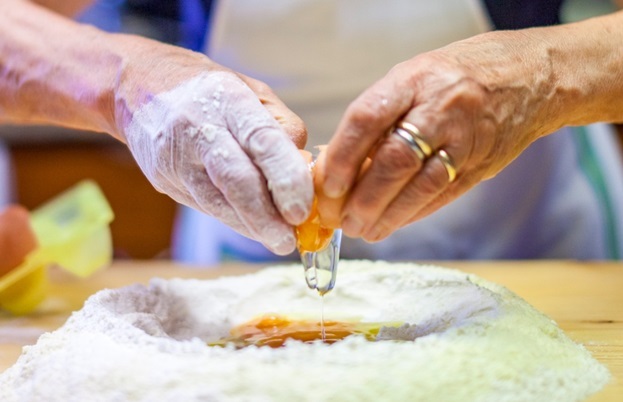 Parmigiano Reggiano is served plain, in great crags on a plate, or perhaps with a drop of rich, sweet, long-aged balsamic vinegar – also produced nearby, but less well-known than their counterparts in Modena. 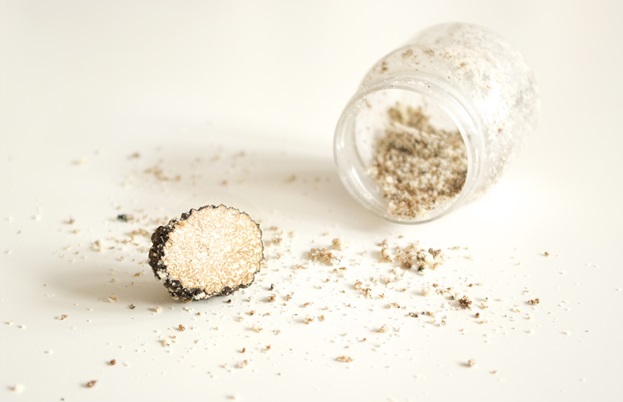 A mix of Parmesan and grated black truffle, the latter a speciality of the nearby town of Fragno, is always on hand in the freezer. Helping them extend the truffle season right through the year, it is known simply as preparato (mix) and finds its way into countless dishes. 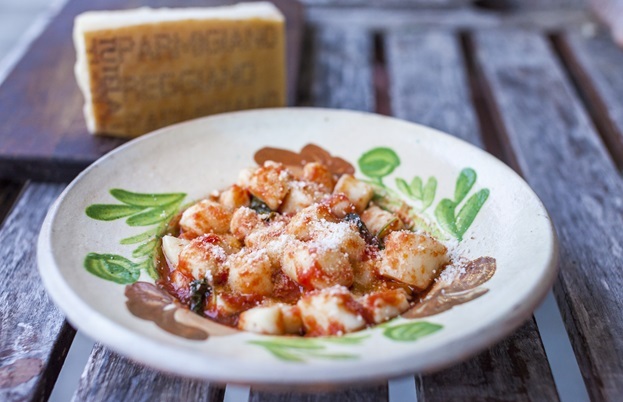 Parmigiano Reggiano is shaved into salads, worked into stuffings and kneaded into gnocchi. It flavours meat, fish, grains and vegetables, even fruits – perhaps slice of apple or pear, or dried figs or plums – all a match. This is a cheese that the local people feel strongly bonded to, both by nature and nurture – none more so than the first woman I was lucky enough to visit, Adriana Salsi. Neat and precise, with twinkling eyes and short, tidy hair that frames her happy face, Adriana has spent all of her seventy-six years living in this mountain area. 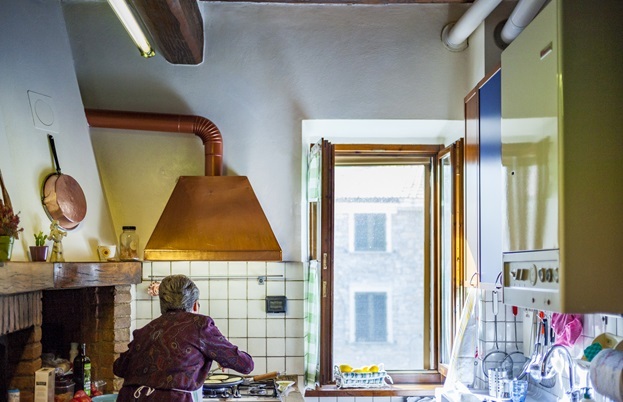 Received into her home and family with extraordinary grace and hospitality, she took me through but a few of Parmigiano Reggiano’s many applications. Speciality after speciality was whipped up, laid out and pressed to my lips. 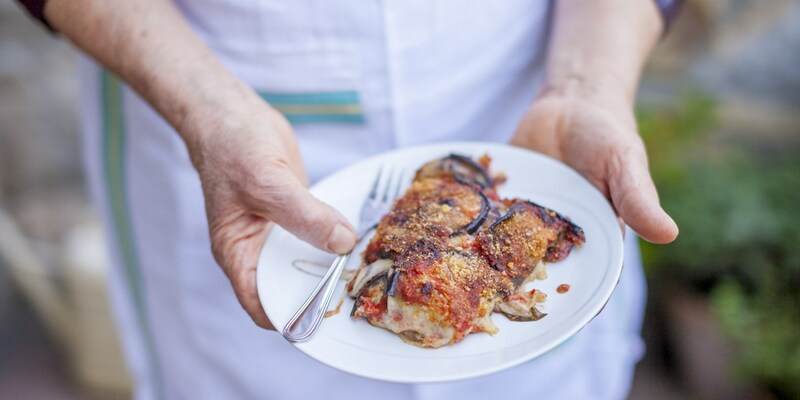 There was Melanzane alla Parmigiana – thin, grilled slices of aubergine with mozzarella and tomato, all layered with generous sprinkles of a rich, fruity, twenty-four month cheese. Creamy, silky polenta came enriched with a truly indecent amount of butter and endless, snowy grinds. 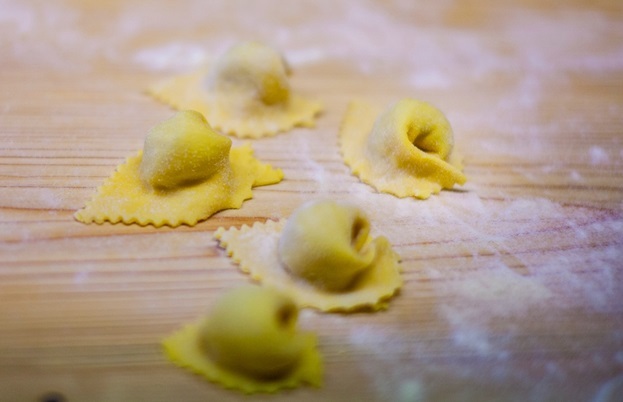 Her delicate pasta parcels, Agnolotti, came stuffed with soft potato, black truffle and yet more umami Parmesan – finished with a creamy sauce of incomparable richness and plenty more freshly grated truffle. But for added drama, the dish of the day went to her Bomba di riso, an enormous baked arborio rice creation, stuffed with a rich, meaty sauce (or a variety of well-seasoned vegetables) and unveiled with great ceremony from its ancient copper pot to rapturous applause. From me. It was one of the great memorable meals of my life. 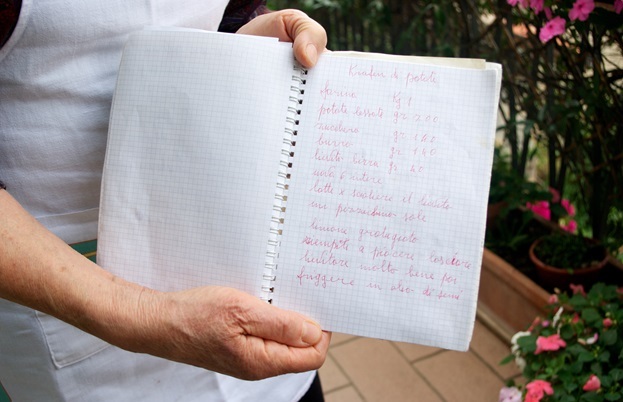 Her dishes and the methods she so generously shared – not to mention her overwhelming kindness – will stay with me forever. From the window of her kitchen you can see the tiny house her late husband was born in, across a garden filled with all manner of delicious edibles, just waiting to be harvested. She collects her drinking water from her own forest well and bakes all her own bread. Not only to feed herself, but for the legions of loved ones and acquaintances that surround her. She told me: 'I have two Thermomixes – I couldn't live without them!' 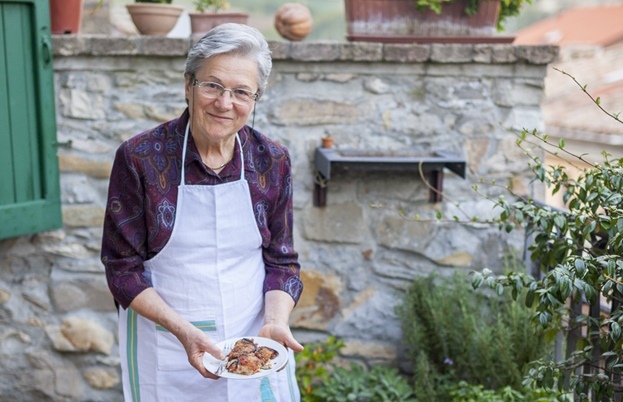 When her husband was alive, she said, gardening was one of his great passions and she would process the results: 'One year that meant over 1500 portions of minestrone – we had to buy three extra freezers!' 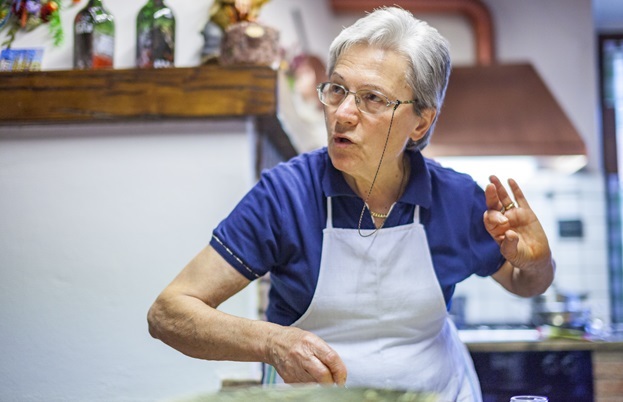 Her three most important kitchen appliances – a Thermomix, Parmesan grater and espresso machine – tell you a lot about Silvana and her cooking. The feast I experienced at Silvana's house began with espressos and caramelised walnut cake, made with nuts from her own trees, just in case we got peckish before the multi-course extravaganza began. Central to the meal was her Roast belly of veal, stuffed with her own homemade breadcrumbs, dried porcini mushrooms and vast quantities of Parmigiano Reggiano, as well as plenty of lovely aromatics. 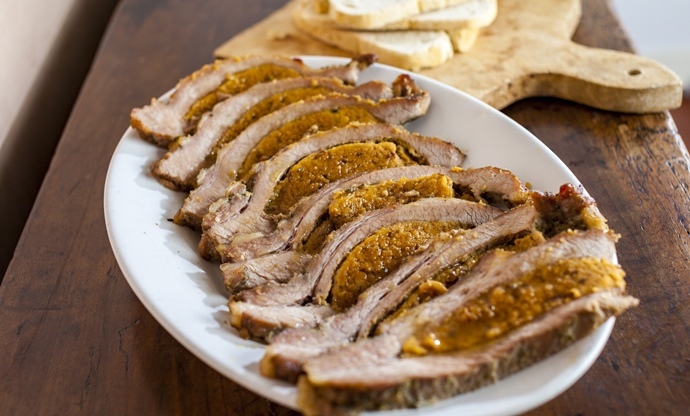 Incredibly tender, basted in white wine as it slow-roasts, the final, elegant slices are drizzled with the rich cooking juices for even more moisture and flavour. Another highlight was the Parmigiano Reggiano gnocchi – two mouth-watering kinds. 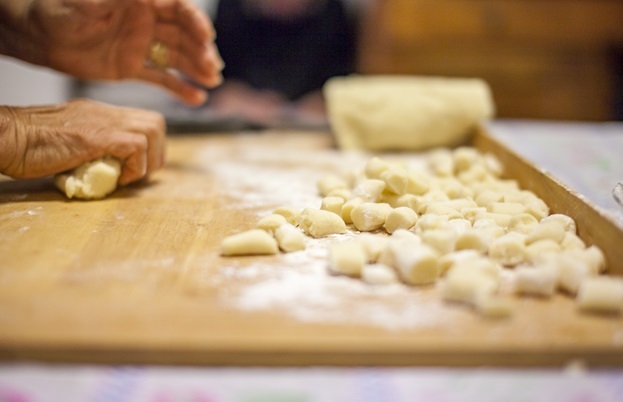 Watching Silvana knead, roll out and cut her gnocchi was hypnotic, rhythmic and beautiful. The light, yolk-tinted dumplings had a sheen of flavourful cheese kneaded into the dough, and after boiling remained delicate with a little welcome chew. Sauced with the choice of an impossibly fragrant tomato-basil sauce, made of course with vegetables and herbs from her sun-soaked garden, or lashings of butter with fresh sage – this all under a downy blanket of Parmigiano Reggiano. What could I do but blissfully accept both? And to finish, yet more of that caramelised walnut cake – 'prize-winning' Silvana tells me with a big smile. Did I mention the homemade walnut liqueur?